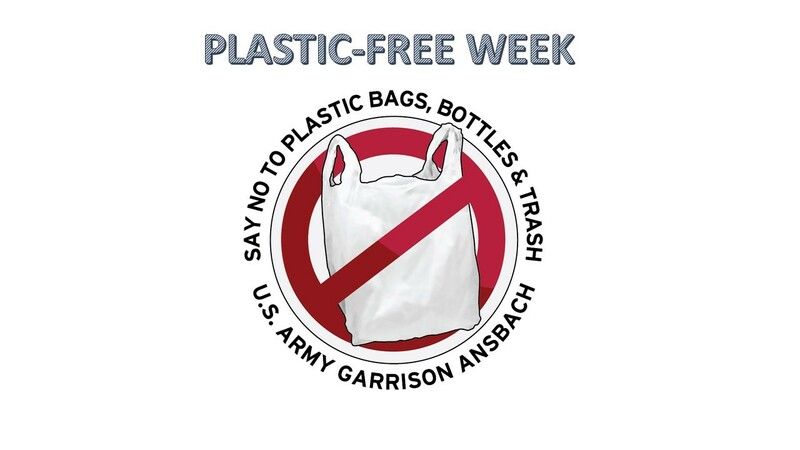 ANSBACH, Germany - U.S. Army Garrison Ansbach kicks off its second annual Plastic-Free Week April 21 at the Urlas Shopping Center. The garrison-wide initiative centers on the reduction of plastic products, used on a daily basis. 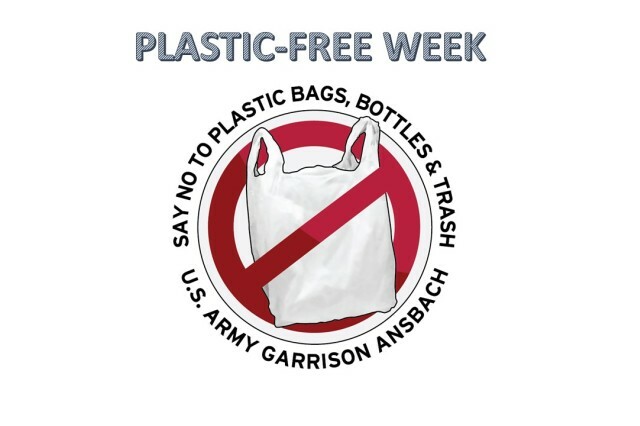 "Every USAG Ansbach organization has a part and is supporting this initiative," says Acting Chief of the Environmental Management Division Daniel Wörnlein. "When we started the initial campaign last September, we were not sure how it would be received, or even if it would have lasting effects," Wörnlein says. Wörnlein points out that quite a few of last year's initiatives still resonate throughout the garrison. "The Dining Facilities and the German Kantine, for instance, still offer biodegradable sugar-cane boxes for takeout foods," says Wörnlein. "And that is just one of several initiatives throughout the garrison, which are helping to eliminate the use of plastic or Styrofoam containers," he says. "Instead of using plastic packaging or wrappings, organizations like the Commissary, Post Exchange and Shopette offer reusable bags and butcher paper to their customers," Wörnlein says. Well on their way of going "green" is also the Directorate of Family, Morale, Welfare and Recreation (FMWR), according to Ryan Moran, supervisory recreation specialist for FMWR. "Plastic is being reduced as much as possible. We have stopped selling plastic water bottles and stopped giving out plastic cups." Students at the Ansbach Elementary and Middle-High School are "very enthusiastic as well about keeping plastics out of the cafeterias, using silverware and offering fruits and salads without the extra plastic," according to Wörnlein. "We all need to do our part to reduce our carbon footprint," says Kathleen A. Gavle, deputy to the USAG Ansbach commander. "Eliminating the unnecessary use of plastics is an essential part of that." Gavle points out that the lasting success of the plastic-free initiative depends on the support from all departments and units here. "It takes continuous efforts by all who live and work in this garrison," Gavle says.